UES $75,000/Night Is Nation's Most Expensive Hotel Room. As Bloomberg notes, the Mark gets is share of high-rollers thanks to its Jean-Georges restaurant, Frédéric Fekkai salon, and reputation as the go-to meetup spot before the Met Ball. The penthouse first hit the market in 2008 for $60,000 (plus $44,645 per month in common charges) and tried unsuccessfully for the next seven years to find a taker. Interestingly, the hotel’s general manager, Olivier Lordonnois, told Bloomberg that someone was renting it during this time, though it was never publicly listed as such. In addition to the aforementioned perks, the penthouse has a library room, a dining room to seat 12, and 26-foot ceilings in the living room. The kitchen has a custom island, breakfast room, wine fridge, and double ovens. Off a sky-lit conservatory is a custom-designed staircase by Eric Schmitt that leads to the roof terrace, complete with its own fireplace and dining area. The master suite has a double-sided fireplace, sitting room, walk-in closets, and his-and-hers bathrooms with a steam room. 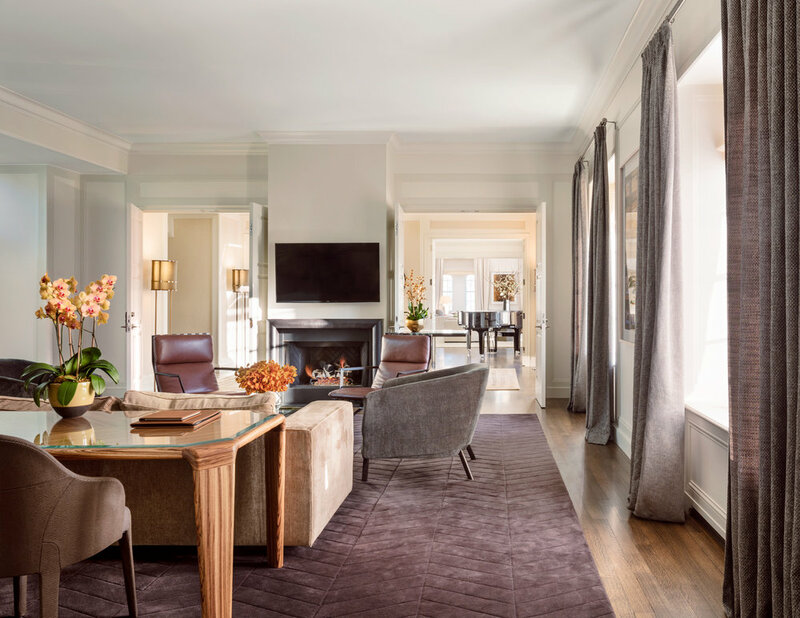 When asked about the astronomical price, Lordonnois said he thinks it’s fair based on the competition, citing the Four Seasons’ Ty Warner penthouse, which is only 64,000 square feet with no outdoor terrace and asks $64,000 a night. 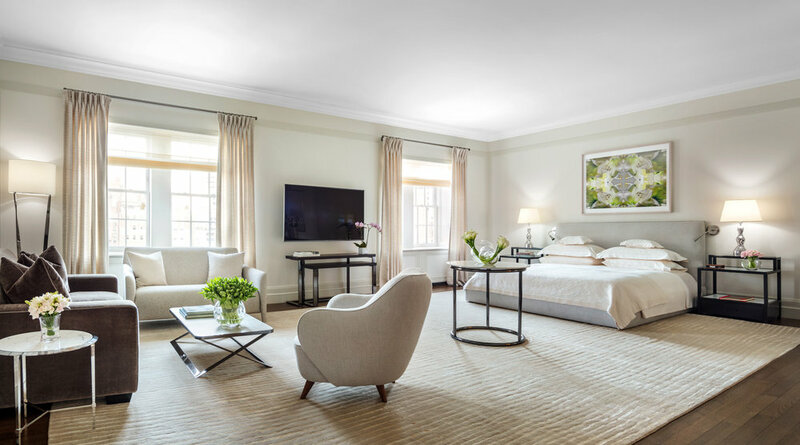 The Plaza’s 4,500-square-foot Royal Suite–with 24-carat gold bathroom fixtures and a full gym–asks $40,000 a night, and the Mandarin Oriental’s 3,300-square-foot suits goes for $36,000 a night.